i walked along the other side of the brook today as I am currently banned from my previous kingfisher watching place. I was absolutely thrilled to see this little fellow who flew out of the water onto this branch. I think he had had an unsuccessful fish as he didn't have anything in his beak. Thanks for getting both of my photos on PP yesterday. I was so pleased to see them there and thank you for all your kind comments and Favs. It is always much appreciated. So pleased you saw him Rosie! He came to say hello to you! You are very lucky. Good shot! So pleased to hear this Rosie....I have been updated on your plight. How was Africa? @rosiekind would love to see them sometime. 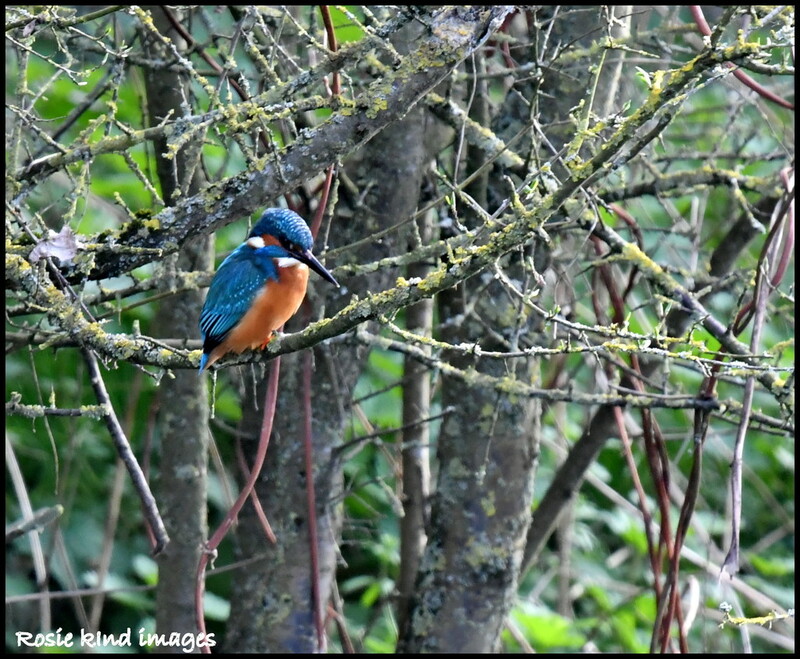 Well you get a good view of the kingfisher from this side too, which must offer some relief for the time being.